I think the third week is my favorite week of the month. It's my M&M Club week and that means I spend a big part of the week memory keeping as I prepare for our club meeting. It fell a bit early this month because of the holiday season. This month was our last month of this round and I don't want it to end. 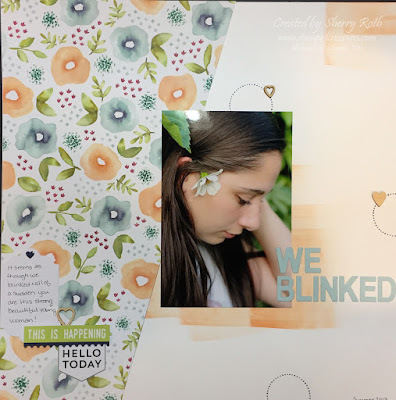 I absolutely loved working with this Naturally Eclectic DSP and the Perfect Days card kit, it has been my favorite one yet. 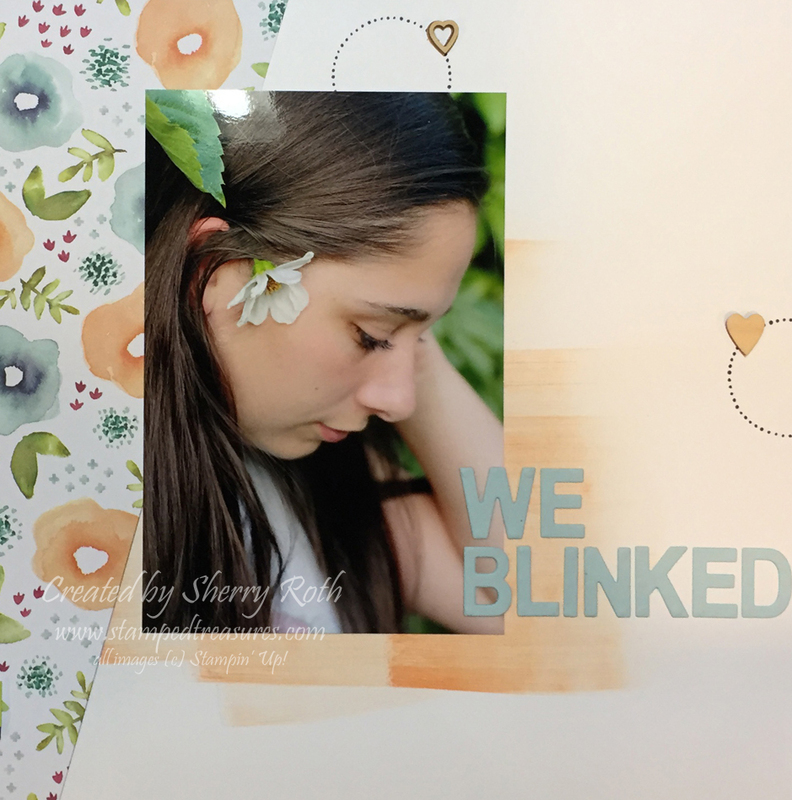 Each month at our club meeting we create 3 pocket pages and 1 traditional page. But this month I couldn't stop creating so I had two bonus traditional layouts and I absolutely love how they turned out. I'm sharing one of the layouts with you today. To add a bit of color to the background I took my peekaboo peach ink pad and just swiped it across the page a few times. I love the look you achieve by doing that. It's a great way to add a bit of color. I love when a layout comes together, looks fabulous and doesn't take a ton of time or supplies! Another layout done as I work towards my goal of catching up. If you'd like to join us for the next round of Memories and More club, we'd love to have you. Here's all the information. Payment and registration due by January 1st. Join the Memory Keeping Club today!